Well a quail hopped out of the aviary this morning but I was lucky to catch it without any problems. I think that the quail are now very used to me popping in and out of their aviary everyday, so it made it easier to catch the male Japanese quail. Cats – The cats seem to be getting over their sniffles which is good but they still don’t really like the cat biscuits. Spot comes to the pig barn every night when I am feeding and mucking out the pigs for the evening and likes me to sit on the bales so he can hop on my knee and have a cuddle and a stroke. Cattle – The calf which has pneumonia seems to be ok. We have the bull separated from the cows as some of the cows are in bulling which can be dangerous for the little calves when the bull and the cows are moving about alot. 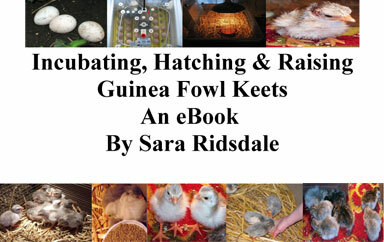 Ducks – Got 6 duck eggs today and took an order for 6 khaki campbell duck eggs for hatching to the post office and then took another order later in the day which I will post on Monday so that it’s not stuck in the postal system all weekend. 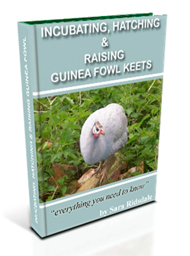 Guinea Fowl – Sold another Incubating, Hatching and Raising Guinea Fowl Keets eBook today. got another guinea fowl egg. Guinea Pig – Gave Guiness some more straw in his hut today. Gave him a whole courgette to nibble on which he seems to be enjoying. 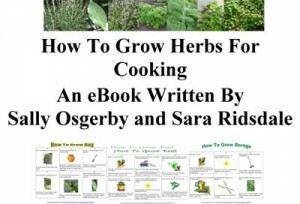 Hens – Got 2 hen eggs today in the pig barn where they have made a nest. One egg was broken in the hut this morning. Pigs – The sows are beginning to really bag up now so it shouldn’t be too much longer before we have piglets. The 7 gilts are growing well and are still for sale. They would be excellent for breeding. 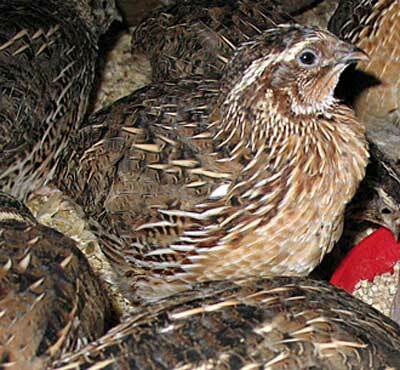 Quail – There is definately evidence of mating in the quail aviary as some of the quail hens are beginning to loose their feathers on their heads where the male grabs them! Other Farming Activities – Moving pile of fodder beet so the beet doesn’t go mouldy with the heat, ploughing and drilling. Love reading your updates. Always makes me feel like I’m really there on the farm instead of urban Corfe Mullen!